April is Autism Awareness Month, and the goal is to provide education, bring consciousness and acceptance, to inspire others to be more inclusive in supporting the Autism community and to celebrate our differences as expressed by the Autism Society. Autism Spectrum Disorder (ASD) is a disorder that casts a wide net of challenges including repetitive behaviors, social skills and communication difficulties, (spoken and nonverbal). According to the Center for Disease Control, one in 59 children in the United States are affected by the Neurodevelopmental disorder. Autism falls on a varied spectrum and some individuals can live independently, while others may require a large amount of daily support. Although some on the Autism Spectrum may have learning disabilities, it does not mean that the individual is not intelligent. Often those who are affected by Autism understand more than others assume. 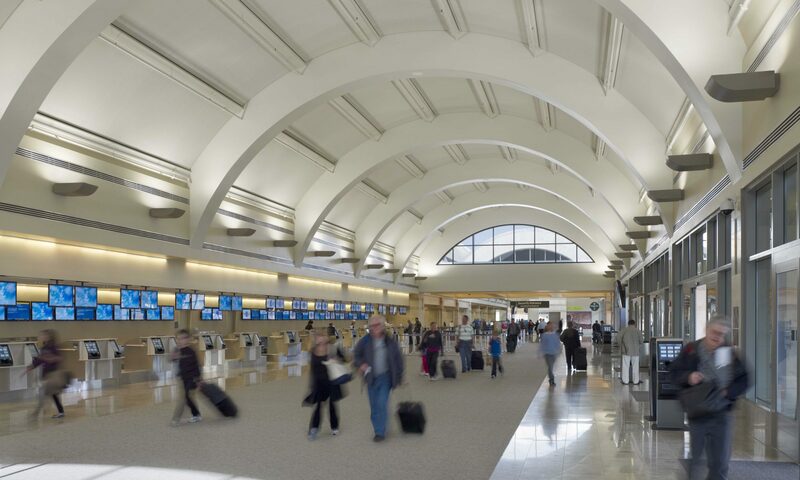 Here at John Wayne Airport (JWA), we recognize that traveling can be challenging and that each individual may require a different level of support. In November 2018, JWA began the Helping Hands Program, which is designed to ease the stress of travel and provide assistance for those with hidden disabilities such as Autism. Customer Relations staff receives regular training to help provide extra support navigating through the Airport. “We are thrilled to be working with John Wayne Airport on the Helping Hands initiative. Travel can be stressful to individuals with ASD and their families. This incredible effort by John Wayne Airport is helping support families as they embark on air travel and we are so excited to be collaborating with JWA,” said Anna Laakman, Director of Education and Training for the Center for Autism and Neurodevelopmental Disorders at the University of California, Irvine. An important practice for those with Autism is often prior planning or familiarization of an activity that will take place. JWA’s Helping Hands Program not only provides specialized service but also offers tours for families that wish to acquaint the child or adult with the steps of travel through the Airport. Since the program’s launch Helping Hands has assisted close to 30 parties. Participate in planned walking or running events in your community. Give to your local Autism organization. Share your support through social media. Make an effort to get involved and volunteer. Support those around you who may be directly touched by ASD and extend a hand of understandi­ng. Here at JWA, Autism awareness is an initiative that holds high importance. We support the movement of Autism awareness and hope to provide new avenues of understanding and support. To find out more about Autism Spectrum Disorder, feel free to view some of the organizations that our JWA Helping Hands Team has partnered with or visit our Helping Hands webpage: https://www.ocair.com/communityrelations/helpinghands/default). Previous PostPrevious Improvement Project Completed!